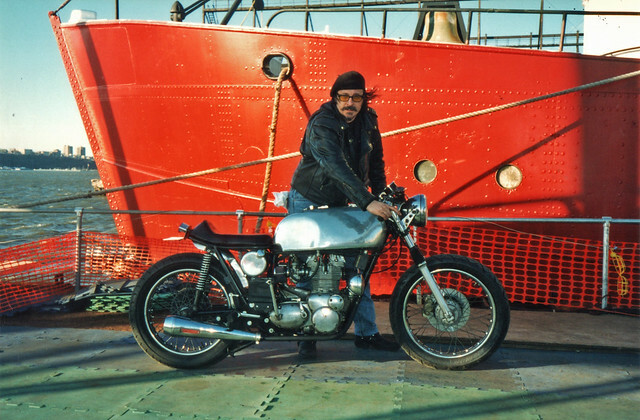 English Don Cornwallis poses in April 1999 on a West side pier in Manhattan with his Triumph motorcycle before heading on a cross country adventure. English Don passed away peacefully in his sleep May 13, 2013. 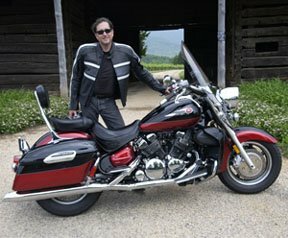 He is a legend in the motorcycle world. He was kind, funny, a wonderful photographer and mechanic and so much more. He brought joy to many peoples' lives. He is survived by his wife Juud Corrnwallis. Juud and Don married on May 12, 2013. He brought joy to many peoples' lives. He will be dearly missed and forever loved.